Facility to set date when Notice and effect will start and end. 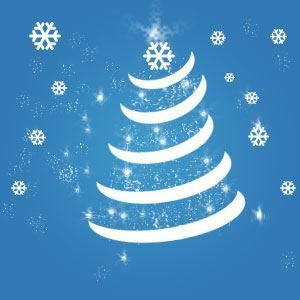 On nopCommerce front end Holiday Notice & Effects plugin allows you to show colorful snowflake on your whole site. Snowflakes hide automatically behind all header navigation to let store visitors navigate without any hassle. You can change size and color of the snowflake to suit your existing nopCommerce theme. Our plugin lets you show beautiful footer on your website so your visitors can feel the Christmas season. Our plugin lets you show holiday notice on the website. this multipurpose notice can be used to convey visitors that your store will be closed for few day or let them know the last date of order to receive their gifts before Christmas. so you have multiple ways to utilize Holiday Notice. Our plugin comes with default holiday message template. you can customize Holiday title and Holiday message as per your need. as well you can change the style of a message with the use of rich text editor. Need to extract the zip folder "Widgets.Holiday_X.X.zip"
Need to copy extracted folder "Widgets.Holiday_X.X" and adding this folder into the Plugins folder of your nopCommerce installation solution. Find Holiday plugin and click Install. 1: Can i customize holiday notice message ? A: Yes, you can customize holiday notice message from plugin configuration. 2: Can i control duration when holiday message is displayed? A: Yes, you can define from and to date interval during which you want to show holiday notice to customers. Holiday notice will be shown only during From and To date interval. Date interval is common between Holiday notice, footer and snow effect. 3: Can i customize message to use non-english language? A: Yes, you can enter message in non english language. 4: What is maximum length of message supported? A: you can enter upto 2000 characters as message in rich text editor. 5: Can I customize background image from the admin side? A: As of now, we do not provided facility to customize background image now but In next release we are planning to allow customization of image. 6: Can I customize footer image from admin side? A: As of now, we do not provided facility to customize footer image now but In next release we are planning to allow customization of image. 7: Does this plugin support Multi-Store functionality? A: Yes, You can enable or disable holiday notice on specific store. 8: Does this plugin support Multi-Vendor functionality? A: No, Only admin of store can change plugin settings. Vendors are not allowed to change plugin settings. 9: Can I get support during and after installation? A: Yes, you will get support by creating support ticket. 10: Do i get different templates of different festival & season? A: No. But we are planning to provide readymade templates for different different festival & seasons. 11: Can I get refund ? A: Yes but if you have valid reason to get refund. Please see refund policy on the website. 12: What other configuration options are available for snow effect ?